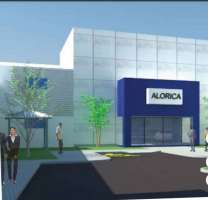 ALorica, parent company of the prime tenant at 58 Half Way Tree Rd. The Musson Group is disposing of all their interest in Stanley Motta Limited in a scheduled sale of all the 757,818,862 ordinary shares currently owned. Our sources state that the business which is a solely a real estate venture is not part of Musson’s core business. If the shares are listed it would be the fifth company connected to the group to do so. The offer has 227,348,547 shares reserved mostly for family members of the majority shareholders of the Musson group and 529,970,315 units for the General Public for purchase at $5.31 per share. All the net proceeds will be payable to selling Shareholders. Sources indicates that General Accident Insurance will make be taking up a large block of the shares that offered to the public. The Company intends to apply to the Jamaica Stock Exchange for the listing on the Main Market of all the Shares and to make such application as soon as is conveniently possible following the close of the offer. The offer opens on July 6, with July 20 set as the closing date. A business process outsourcing and technology park consisting of five buildings totaling over 200,000 square feet of rentable commercial office space at. The company owns 58 Half Way Tree Road in Kingston, next door to the new Kingston, comprising 200,000 square feet of rentable space that is fully leased with the lease quoted in US dollar. Tenants are responsible for all expenses arising by reason of occupation, including insurance, property tax and maintenance expenses. The weighted average tenor and annual rent per square foot are 4.7 years and US$12.09, respectively. Site plan of 58 Half Way tree road. The anchor tenant is Jamaica Agent Services Limited, the local subsidiary of Alorica Inc. Alorica is a US based global business process outsourcing firm and the third largest provider of customer experience solutions in the world. The company has over 100,000 employees and operates from 140 locations in 16 countries around the world in North America and the Caribbean, Latin America, Europe, China, the Philippines, and Japan. Alorica serves over 600 clients many of which are on the annual list of the 500 largest companies in the United States as compiled by Fortune magazine. Under the terms of Stanley Motta’s two leases with Alorica, who took possession of Units 2, 3 and 4 each as a “cold hard shell” and paid to complete the buildings at its own expense including all interior walls, ceilings and finishes. The complex will be managed by Felton Property Management Services Limited, a subsidiary of Musson. Felton will be responsible for all day-to-day on-site property management, administration and accounting services. The property is a designated Free Zone, accordingly, Stanley Motta is exempt from corporate income tax on the rental income of Free Zone property. The Board expects to distribute approximately 90% as dividends subject change from time-to-time if circumstances dictate. The Projected Valuation obtained from an independent appraiser, using the income capitalization approach, for Unit 4 at completion is US$21.3 million or approximately $2.63 billion using rates of exchange as at December 31, 2017 and $2.79 billion using the weighted average selling rate according to the Bank of Jamaica as of June 19. The Company’s sole source of direct income is from the rental of units in the technology park. Its only other source of income is from dividends from Unity Capital, whose sole income is derived from the rental of office space in its building at 58 Half Way Tree Road. The lack of diversification means that the Company is particularly exposed to risks affecting the property market. The Invitation is underwritten by the Underwriter up to a maximum of the equivalent of US$21 million. The stock is not for all investors in the short term. Investors looking for relatively high return in US dollars with modest capital appreciation over time may find this an attractive offer. While most investors may view the income in US dollars as a big positive, they ought to be aware that continued devaluation of the local currency going forward is not guaranteed. Of note is that the rental income for a full year is likely to be in the order of US$2.5 million with most expenses picked up by tenants, it should net out around the same amount tax free. The yield on investment will translate to just under 7 percent. The property has room for some amount of expansion which is done could increase the revenues and profit. The new leases while priced at $12 per square foot is set to rise to $14 dollar at renewal in 5 years and should go higher on renewal thereafter. With Jamaica, on target to lower the fiscal deficit to 60 percent of GDP and with government maintaining balanced fiscal operations inflation going forward is likely to remain low and should result in low interest rates, against this back drop ground, the income from this operation could see investors ultimately acquiring the stock as a good income play and then drive up the price over time.